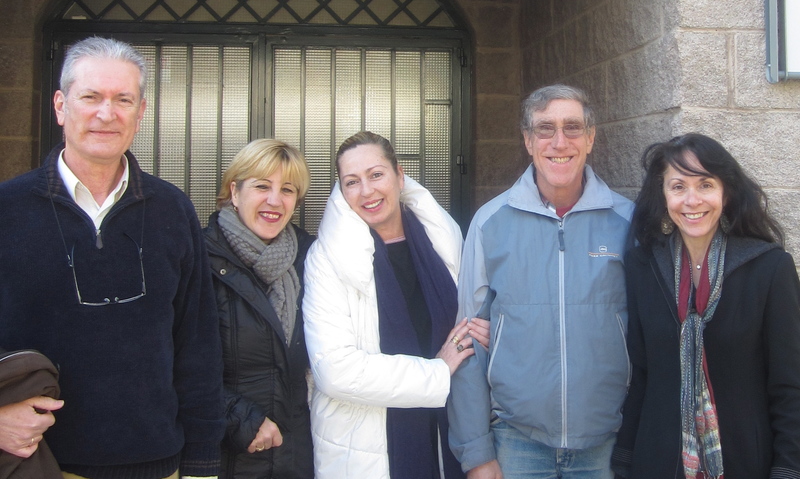 My husband and I (right) are posed with friends from the school. Luis is on the left. 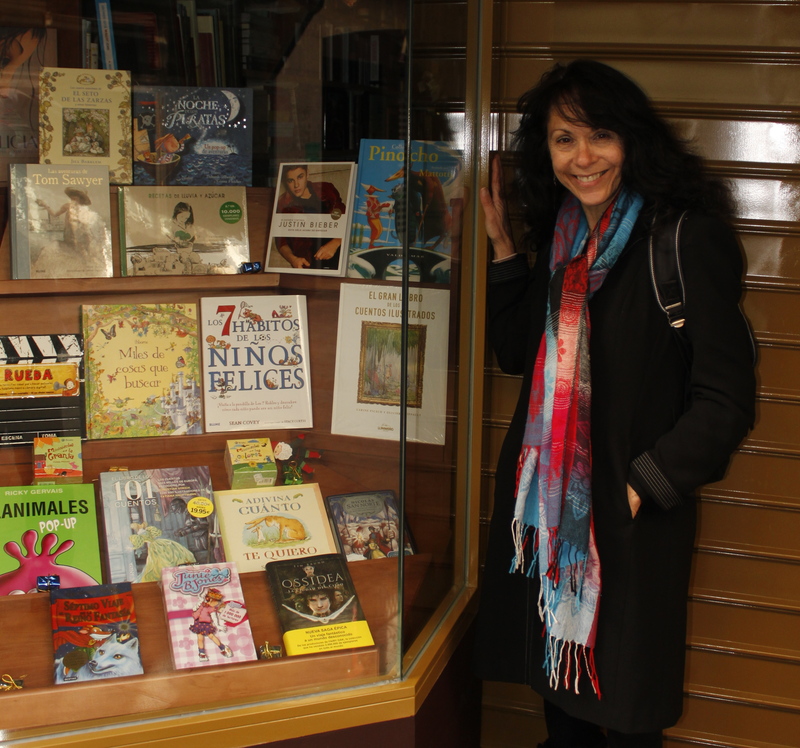 My first school visit of the new year was in Maracena, Spain, at the bilingual I.E.S. Manuel de Falla. Hola to all the students and teachers! My husband and I want to send a big “gracias” to Luis Enrique Martin Jimena, the bilingual coordinator, and to Coco Alvarez for sharing her art students with us. Thanks also to Juan for the delicious lunch of atún y tomate. 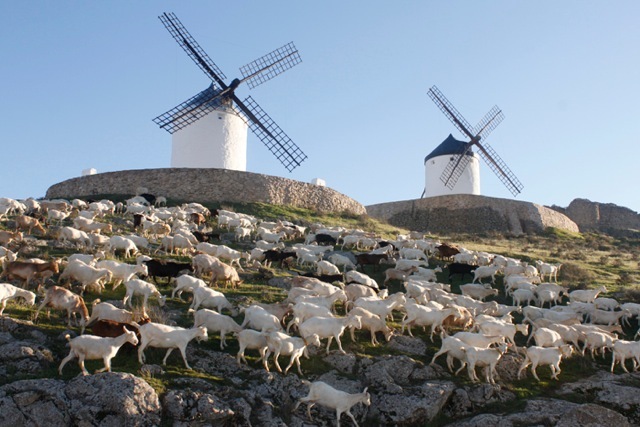 :-> And “gracias” to Carmen Rocío Gil Morillas for her kind blog comments. 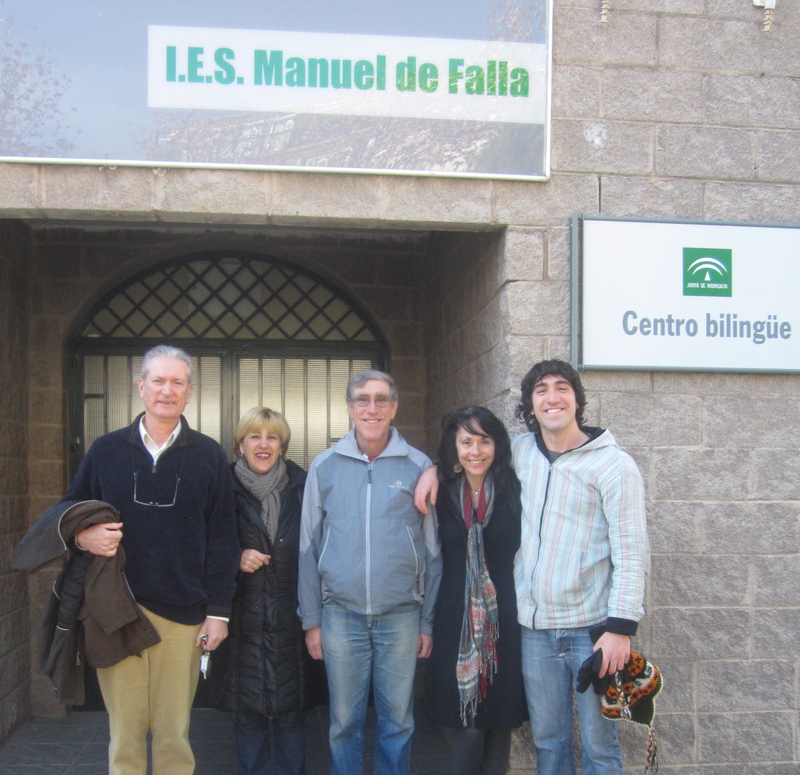 Our son Steven has joined us here in front of the school, which is named for the most important Spanish composer of the 20th century, Manuel de Falla. Here’s a link to one of his most famous pieces, El amor brujo, about a gypsy girl named Candela. http://www.youtube.com/watch?v=Ftd8tIdiYq4 She is performing the mesmerizing Ritual Fire Dance. 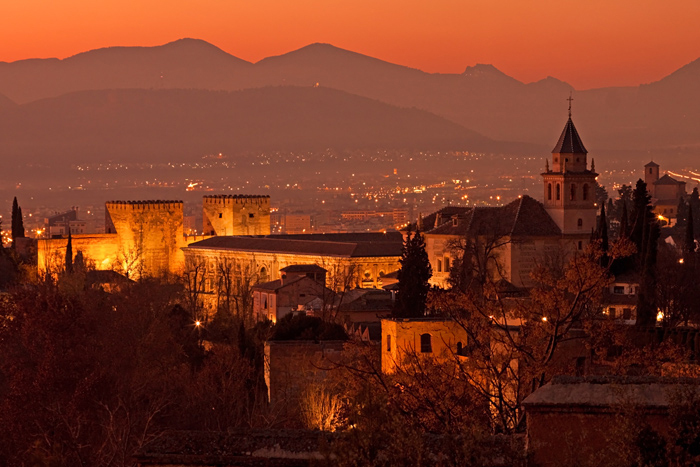 Granada’s El Albayzín becomes magical at night. 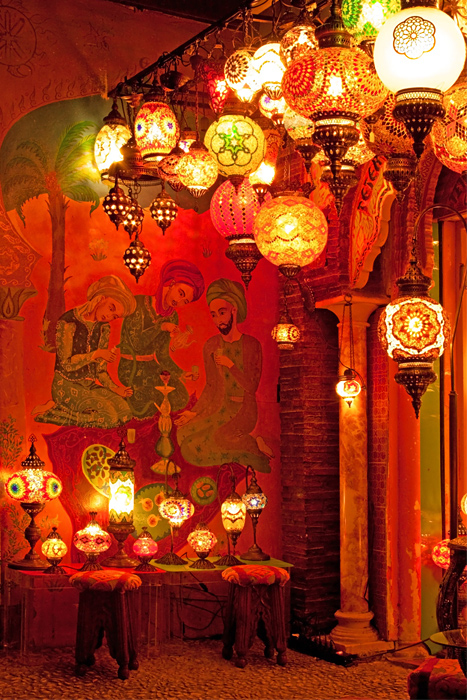 Lovely lights decorate a store front in the El Albayzín. 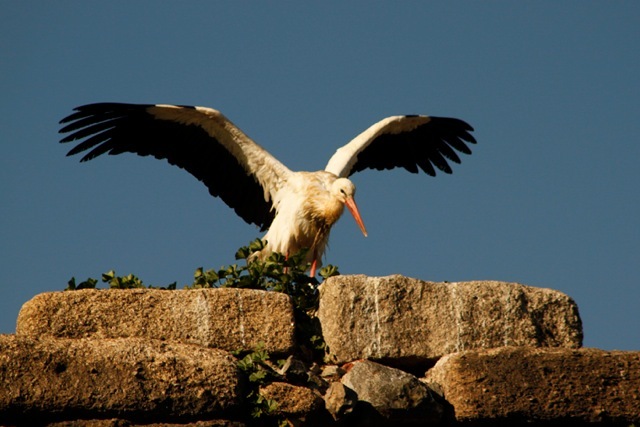 In Mérida we explored Roman ruins crowned with nesting storks. 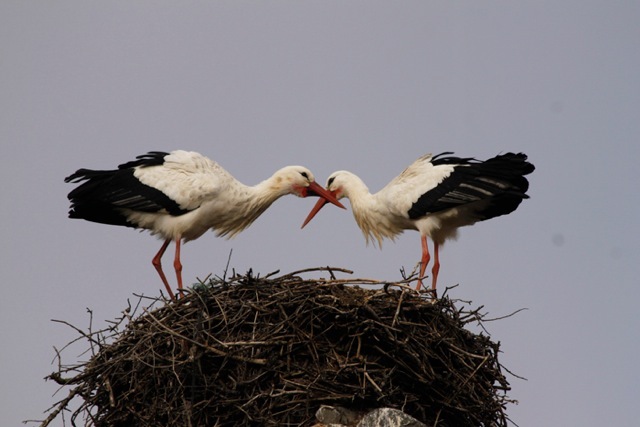 Some storks give their chicks a drink by squeezing wet moss into their mouths. Amidst the Roman ruins and clacking storks of Mérida, I found a little book shop. Featured in the window were Pinochio, Tom Sawyer, Junie B. Jones, and Justin Bieber. 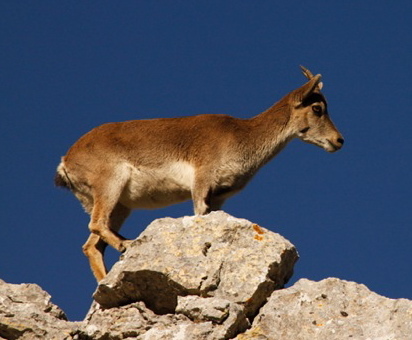 This little Spanish ibex, with big flexible hooves, is a nimble rock climber. 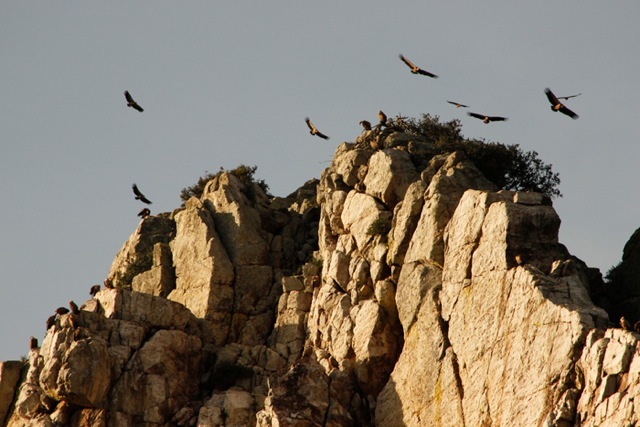 We spotted it while hiking in El Torcal, near Antequera. 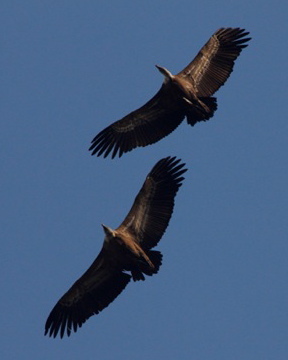 In western Spain, Parque Nacional Monfragüe is home to soaring griffon vultures. 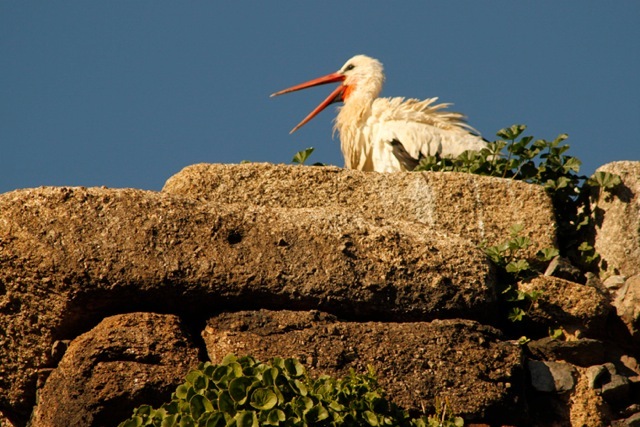 They nest on cliffs and keep watch for dead animals to dine on. 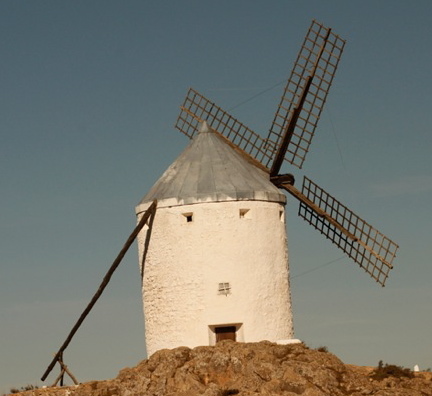 Consuegra is famous for its windmills, as described in Cervantes’s Don Quixote. Hi Judith this is Juan. Your comment made me very happy. Next time you have to try the jamon! Hi Juan! We had such a nice time talking with you during lunch. Thanks for the delightful meal and also for the tips about the hike. It was wonderful meeting you! 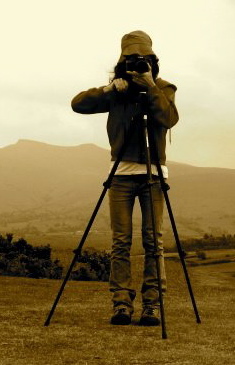 Hello , the photos are beautiful jajaja , and hello Celia jaja. 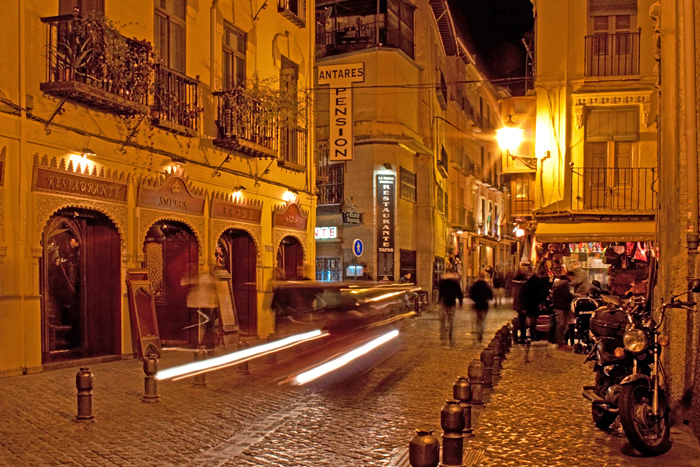 I like this photos , and I like coment on your website. Jajaja Rocio you are so crazy jajaja. Thank you! I wish I could come soon! You will be meeting Steven’s sister, Jennifer, and her boyfriend soon.